Welcome to the electronic school of Masnavi studies. The Masnavi is the great masterpiece of Mawlana Jalaluddin Rumi, who lived in the 13th century. The Masnavi consists of mainly of sufi teaching stories with profound mystical interpretations. This site also has information about the Whirling Prayer Ceremony (Sema) and the International Mevlana Foundation led by the hereditary leader of all Mevlevi sufis, the 22nd generation direct descendent of Mawlana Rumi and the 33rd Maqâm-i Chelebi. 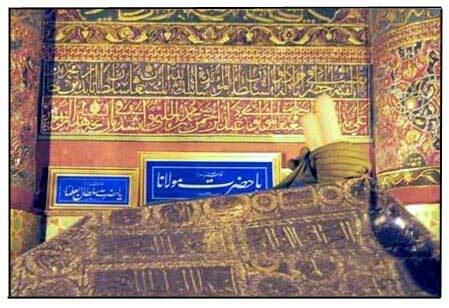 Below is a photo of Mevlana Rumi's tomb in Konya, Turkey.